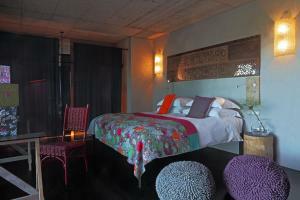 All of the holiday rentals in our Portugal collection have been personally visited and vetted. For more targeted results please enter your dates and requirements above or use the map on the left. Need a little inspiration? Below we've selected rentals by popular features. Hand-picked villas with their own private pool for that extra holiday treat. All of the villas in our collection are visited & vetted by at least one of the Alternative Portugal team. We've chosen destinations on the west coast of Portugal away from the crowded Algarve. Great beaches, authentic towns and resorts, wonderful cuisine and friendly people - in Real Portugal. Villa with a heated pool? A sea view? Perfect for young families? On a resort or complex? We can help - call one of the Alternative Portugal team for guidance. 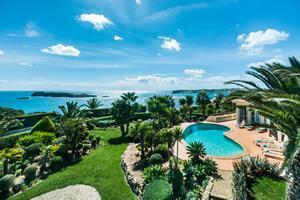 Here's a selection of villas with private pools with summer school holiday dates available. Whether it's the authentic Silver Coast or off-the-beaten track in the western Algarve, we have villas available for your summer holiday! Each month one of the Alternative Portugal team chooses three of their favourite villas / apartments. The featured property might be new to our collection. It might have a particular feature to show-off such as a heated pool, sea views or short walk to the beach. Whatever the reason you can be sure of quality accommodation and a great location. This month's selection includes two modern villas in the Silver Coast resort of Foz do Arelho (approx 1h15m transfer from Lisbon airport): Villa Ocean enjoys stunning ocean views, a heated pool and you can to the beach & restaurants - that's a faily potent combination of benefits! ; Casa dos Sonhos is one of the best value villas with pools in our collection with good availability for the summer school holidays. On the south west coast near the historic town of Lagos, Casa de Colinas is a beautiful 4 bedroom villa enjoying a very private location with stunning views. 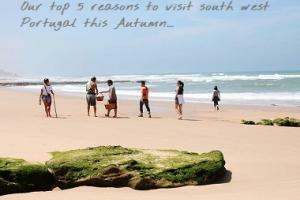 Looking for ideas for an October holiday in Portugal? The west coast of Portugal is our speciality and remains relatively undiscovered. The western Algarve resorts of Lagos, Salema, Martinhal and Sagres are little more than an hour's drive from Faro airport, and it's only an hour or so from Lisbon airport to Baleal, Foz do Arelho, Obidos and Praia d'El Rey on the Silver Coast. Very do-able for a long weekend or half-term week off. Check out Claire's blog post October Holidays: Top 5 Reasons To Visit Authentic Portugal This Autumn and here's our top property picks for an Autumn getaway, including October half-term. There are hundreds of holiday complexes in Portugal but when it comes to the Silver Coast we think the Praia D'El Rey Beach Resort is right up there with the best. The beach-side location 75 minutes' transfer from Lisbon airportmakes it a convenient choice for short stays as well as longer breaks. There's a championship golf course to enjoy plus a choice of restaurants and a spa too. We can offer you a choice of apartments and townhouses at The Beachfront and Ocean Village, as well as a selection of 10+ independent villas with pools. It's what the majority of clients ask/wish for - a holiday villa or apartment where you can walk to the beach! 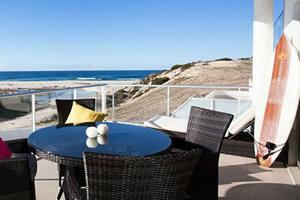 The rentals we've selected below are genuinely no more than 1 km to the beach and some are no more than a few steps! The west coast of Portugal offers some fantastic surfing beaches but there are also sandy beaches safe for young ones especially around the Obidos Lagoon and at Martinhal. stay in the pool for longer! If you really want to enjoy a pool in the early/late season then we strongly recommend a heated one. 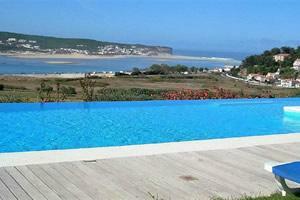 These holiday rentals on the west coast of Portugal all enjoy the advantage of either a heated private or shared pool. Our collection includes villas on a resort with access to a heated shared pool - such as Martinhal Cascais and Martinhal Sagres - as well as some independent villas with a private heated pool. Call of one of the Alternative Portugal team for advice. 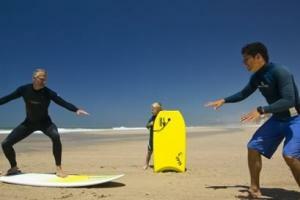 Teenager-friendly Portugal is the perfect destination for active teens, particularly surfers. 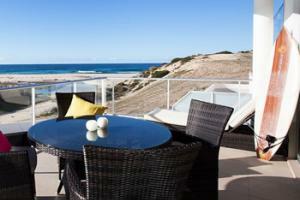 Many rentals also offer easy access to the beach, shops and cafes in a safe environment. Sagres in the south west Algarve is especially recommended - there are many surf schools and a variety of outdoor activities. The town has an informal, laid-back vibe with a few surf boutiques and several excellent cafes. Call one of the Alternative Portugal team for advice - we have teenagers too! The Atlantic west coast of Portugal is know for its wonderful surf but there are several protected beaches which are a haven for young children - and relaxing for the partents! In particular, we recommend the Obidos Lagoon at Foz do Arelho and Martinhal Cascais, both on the Silver Coast near Lisbon. In the western Algarve, Martinhal Sagres is the best family resort we've seen - as well as superb facilities on the resort, the local beach (just a short walk) is very child-friendly. Looking for a villa in Portugal with fenced pool or pool with hard cover? Whilst it's not a legal requirement in Portugal, many parents of young children want to relax at their holiday villa safe in the knowledge that their swimming pool has a safety feature such as fencing or hard cover. We've visited & vetted all of the properties in our collection so please call us for advice. In this collection we've picked out some of the best quality villas in Portugal. The villas in our collection are to be found on the Silver Coast of Portugal away from the crowded and developed Algarve. Experience a bit of luxury in a contemporary villa with fabulous living space and outdoor areas for total relaxation. Choose a holiday resort in Portugal with tennis courts. 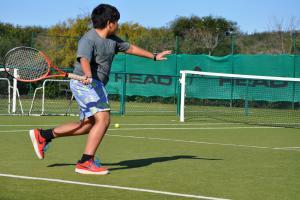 Whether it's a social game or joining tennis school, the resorts of Martinhal Sagres (western Algarve) and Praia D'El Rey (Silver Coast near Lisbon) have excellent facilities for guests. 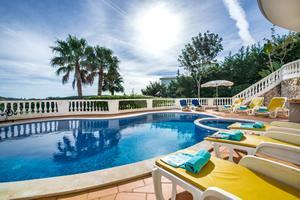 Rent a villa with its own pool, a villa sharing a pool or a holiday apartment. 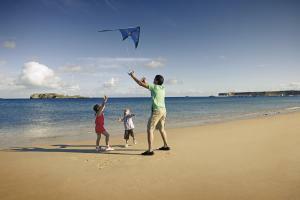 Our Portugal collection includes a range of family-friendly holiday destinations and rentals. If you're looking for a family-friendly resort with kids club, heated pool and other amenities then the Martinhal Resorts at Sagres (western Algarve) and Cascais (Silver coast near Lisbon) are hard to beat. Or, if you're searching for a smaller complex with a shared pool then Salema Beach Village and Sagres Time Apartments (western Algarve) are great choices or there's Praia Del Rey Beachfront too (Silver Coast near Lisbon). We can also guide you on choosing a family-friendly villa with a private pool - just get in touch for guidance! 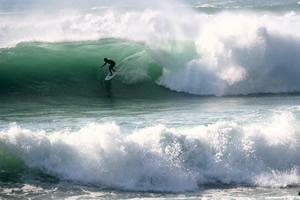 Try Sagres for your winter surfing trip in Portugal. Surfers looking to hone their skills will welcome the winter swells on offer in south west Portugal, particularly around the Sagres coastline. The ocean temperature is 16-17 degrees and there are over a dozen local beaches to try out. 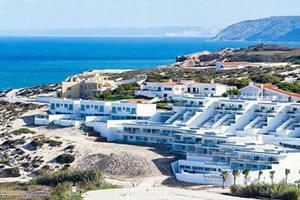 Sagres Time Apartments is the best place to stay and they'll do good discounts on longer stays. This laid-back town at the edge of Europe has a good bunch of cafes and restaurants too. The Algarve has been a popular destination for golfers for many years but if you like to get away from the crowds and explore a more authentic golfing destination then the Silver Coast is a great choice. Just over 1 hour's drive from Lisbon, on the stunning Silver Coast, you will find a glorious cluster of championship golf courses - Praia Del Rey, West Cliffs, Royal Obidos and Bom Sucesso. Rent a villa or apartment with friends and enjoy not only fantastic golf but a holiday in real Portugal. We can cater for group sizes from 2 persons in a 1 bedroom apartment to groups of 10 in a large villa such as Casa Escarlate. 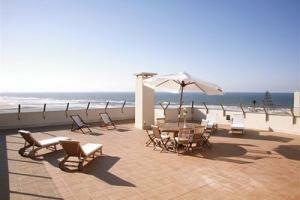 Larger groups can be accommodated by renting multiple apartments/townhouses at Praia Del Rey. Portugal villas with private pools. 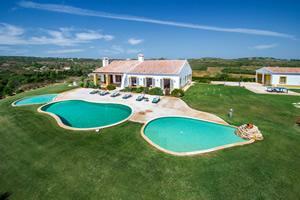 For that extra bit of independence, a villa in Portugal with private pool is the answer. We specialise in the less well-known coastlines of Portugal - the coast near Lisbon and the western Algarve region too. All of the villas in our collection have been personally visited and vetted by us. We know the local areas very well too so give us a call for some advice. Browse our collection of stunning Obidos villas - villas with pools and townhouses with a shared pool. Discover this authentic, 'secret' stretch of Portugal's Silver Coast, away from the crowds. All of the villas in our collection are visited and vetted by us. Our Obidos villas collection includes luxury villa rentals in walking distance of the beautiful Obidos lagoon. All our holiday rentals are within a short drive of historic Obidos. We offer Portugal villas in the less well-known and less developed coastal areas of the country, principally the western Algarve region and the Lisbon coastline. The holiday villas in our collection feature either a private or shared swimming pool. Enjoy a villa in Portugal away from the crowds and discover real Portugal on your holiday. If you're looking for a Portugal holiday rental then why not try the authentic west coast? Get away from the tourist hot-spots and enjoy real Portugal with its wonderful beaches, authentic towns, hospitality and superb cuisine. 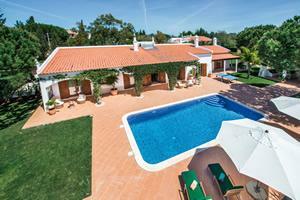 Our accommodation in Portugal includes everything from apartments for 2 to villas with private pools for large groups. We've chosen coastlines that provide an exciting and charming alternative to the popular tourist resorts. Portugal villas with pools in off-the-beaten-track destinations. Explore real Portugal on the west coast near Lisbon and in the western Algarve region, away from the crowded and over-developed coasts. 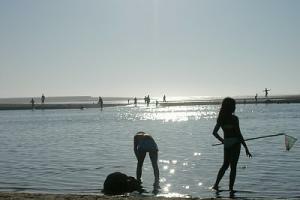 Discover where the Portuguese go for their holidays and you'll be warmly greeted and enjoy fabulous beaches and food. The villas in our collection have either a private pool or share a swimming pool. Our Portugal collection includes some stunning Silver Coast villas for rental. Our collection includes Silver Coast villas with private pools and some with shared pools and all are very close to a fabulous beach. The Silver Coast is the Atlantic west coast of Portugal, starting from the border with Spain in the north to the far south west corner of the Algarve. We have clusters of properties on the Lisbon coast (Obidos, Peniche, Cascais), Alentejo (Comporta) and the south west corner of the Algarve too (Sagres and Lagos). Compared to the Algarve, the Silver Coast is a less well-known option for people who want to discover and explore 'real' Portugal. With superb uncrowded beaches, lots of activities (surfing, cycling, water sports), a variety of days-out (both cultural and natural) and delicious inexpensive cuisine, you will feel as though you've discovered a different, more authentic Portugal. The people are very welcoming, it's less busy, it's better value and the best places to stay are all within an easy transfer from Lisbon or Faro airport. 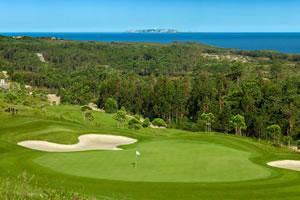 Think Portugal, Think Silver Coast! Our Portugal holiday apartments are hand-picked and they are all near the beaches of the western Algarve and the west coast of Portugal near Lisbon. Get away from the crowds and main tourist resorts and experience real Portugal. All apartments have access to a shared swimming pool. We have 1 bedroom apartments for couples as well as 2 & 3 bedroom apartments for families. For your Portugal beach holiday why not get away from the crowded and over-developed Algarve? At Alternative Portugal we specialise in the less well-known coastlines of Portugal. You will still enjoy amazing beaches in fabulous locations, all easily accessible from Faro or Lisbon airports. The south west corner of the Algarve is a stunning and natural coastline where we have villas with pools, apartments and townhouses. We also specialise in the coastline near Lisbon. 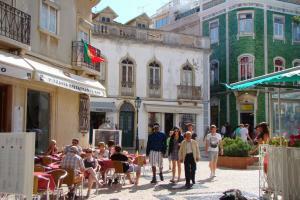 Both of these areas give a more distinctive and authentic Portugal beach holiday experience. View our collection of West Coast Portugal Villas. The west coast of Portugal is real Portugal, away from the crowded and over-developed tourist hot-spots. From the western Algarve to the Lisbon coast, discover a stunning, unspoilt coastline with amazing beaches, charming towns and villages, friendly people and great food too. Surf, SUP, bike rides, horse-riding and great days out too. We've visited and vetted all the villa in our collection - call us for advice and try a different side of Portugal. Portugal's Atlantic Coast boasts some of Europe's best beaches - huge sandy stretches of sand and surf without the crowds of the Algarve. The resorts are less well-known, less developed and offer a more authentic holiday experience. Alternative Portugal's Atlantic coast villa collection includes rentals on the Lisbon coast and also the western Algarve. Portugal's Atlantic coast is popular with surfers so if you love Cornwall but want you want to try somewhere different with great weather then why not try 'real' Portugal? 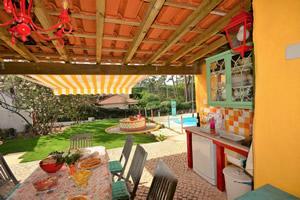 We have a wide selection of villa complex Portugal holidays. 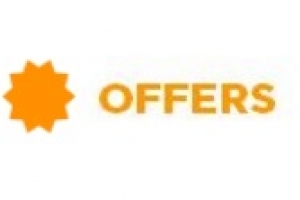 We offer a choice of villa complex holidays in Portugal. You might want a bit of independence in a villa with its own pool and easy access to amenities or perhaps you prefer a venue where you can eat out every night? Each of the complexes in our collection is slightly different so why not call us for advice? All of the villa complexes have at least a shared swimming pool and many offer villas with private pools too. Praia d'El Rey and Martinhal are probably the best known but there are others that we've visited and loved too! Laid-back Sagres is one of our favourite seaside resorts in Europe and we have a great selection of Sagres villas with pools. Situated on the far south western corner of Portugal (and Europe for that matter!) Sagres is known for its variety of superb beaches, many of which are ideal for surfers. 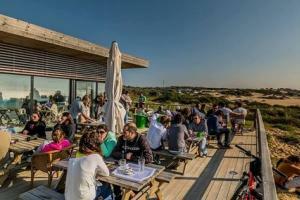 The little town has a natural 'vibe' in keeping with its unspoiled surroundings of the Costa Vicentina Natural Park. And the sunsets here are legendary. Choose a villa with private or shared pool at Praia do Martinhal next to Sagres town or for a little more independence, rent a villa with private pool just a short drive to coast.